All Things New is a bright kit to start the new year with. With words of encouragement on the brads, you'll find this a quick and easy way to encourage others with thoughtful sentiments! 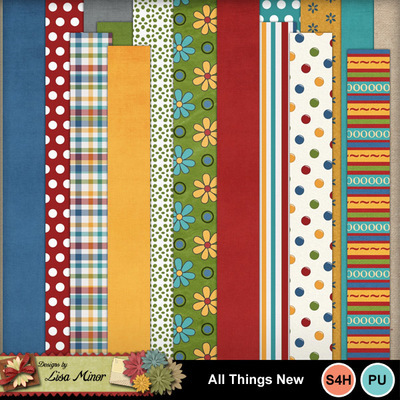 This kit was featured in the MyMemories November 2015 Monthly Design Club Offering.